Samoa has made considerable progress in recent years in getting businesses and consumers online but still faces challenges before being fully ready to benefit from e-commerce, an U.N.C.T.A.D assessment of the country says. The Samoa Rapid e-Trade Readiness Assessment, funded by the Enhanced Integrated Framework, a multi-donor programme for least developed countries, is the third such assessment U.N.C.T.A.D has done. 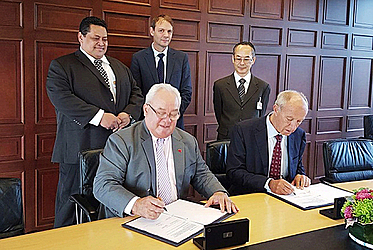 It was carried out following a regional workshop on e-commerce in June this year that U.N.C.T.A.D and the World Trade Organization (W.T.O) held with the Pacific Islands Forum Secretariat. The assessment was presented at the U.N.C.T.A.D Intergovernmental Group of Experts on E-Commerce and the Digital Economy, convening in Geneva, Switzerland. Made up of eight islands sitting halfway between Hawaii and New Zealand, the country’s isolation fuels high import prices and creates challenges for Samoan entrepreneurs to access global markets and grow their businesses. By giving exporters direct access to potential clients around the globe and allowing Samoan consumers and businesses to find the best deals for what they import, e-commerce could help the country overcome its geographical disadvantages, the report says. Air transport is the most expensive way to ship goods, yet because most goods Samoans buy and sell online are small parcels, Faleolo International Airport is currently the main entry and exit point. And this takes a toll on businesses’ profits and consumers’ wallets. Better port facilities and increased transportation options would make e-commerce less expensive, the assessment says, adding that the lack of a postal addressing system also limits the scope of e-commerce in Samoa. Government reforms bringing more competition and better regulation to the telecommunications sector have made mobile phones an everyday reality for most of the population. But Internet connections are still unreliable and expensive, keeping more than two thirds of the population offline. A monthly 2GB ADSL subscription was US$43 in 2015, and a prepaid 3GB data plan for a mobile was US$40, in a country where minimum-wage workers earn just over US$2 an hour. 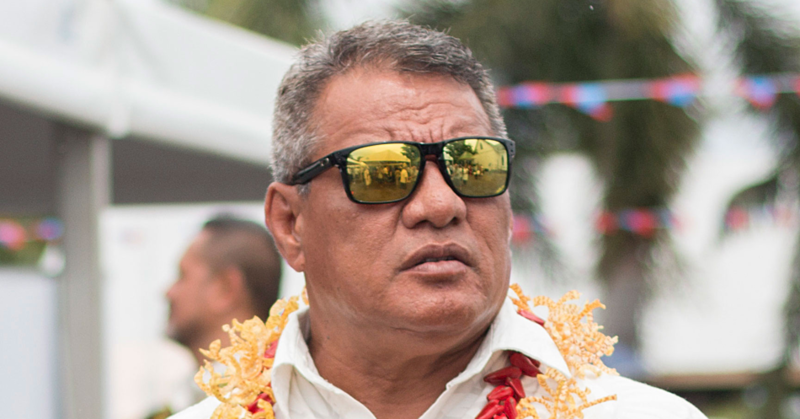 The government hopes that the arrival of a 1,3000-kilometre submarine cable connecting Samoa to Fiji’s Southern Cross Cable will boost connectivity and affordability. 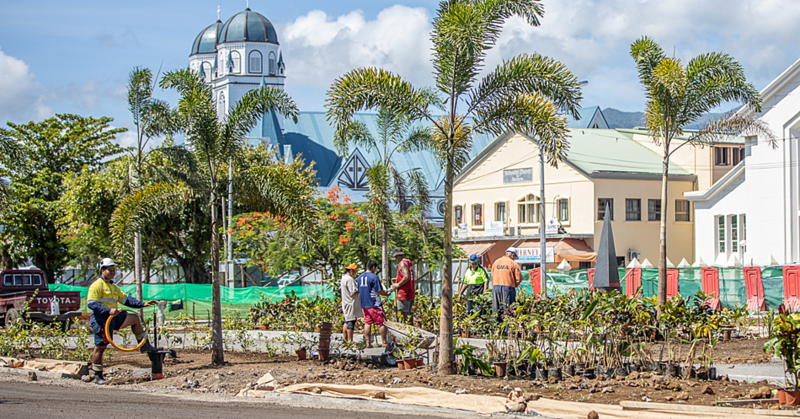 But the assessment has shown that improved infrastructure alone will not make the island nation e-commerce-ready. Even if the population is better connected, e-commerce cannot take off if the majority of the population does not have a bank account or credit card and remains skeptical of mobile payment solutions. “Samoans remain largely unbanked,” the report says, adding that only around half the adult population has a bank account or access to other formal services such as credit unions and microfinance. And cultural beliefs in the value of cash and a general reluctance to trust mobile payments -- only 3.7% of mobile phone owners have a mobile money account -- are preventing online businesses such as Samoamarket and Makeki Online from boosting sales despite increased traffic to their websites. One of the reasons Samoans seem reluctant to trust online payments, the report says, is an incomplete and at times outdated legal framework. The top concern, according to the assessment, is consumer protection online, particularly data protection and privacy, for which Samoa has no legislation. The assessment calls for a thorough review of Samoa’s legal framework, despite being one of the most advanced in the region according to UNCTAD’s Cyberlaw Tracker. “While the framework is in place, it seldom covers specific e-commerce aspects,” says Cécile Barayre, an U.N.C.T.A.D legal officer who worked on the assessment. “One specific challenge is the contradicting and overlapping regulations adopted by different ministries and government agencies,” she adds. But even if more Samoans are connected to the Internet and trust online payment, if they are uninformed of the opportunities e-commerce offers and lack the necessary technological skills, online sales will continue to drag. “The lack of understanding and awareness of what e-commerce is and how to benefit from it has been a common thread throughout the assessment period,” the report says, adding that assistance could focus on small and medium businesses owned by women since current e-commerce facilities are more accessible by well-established male-owned businesses. 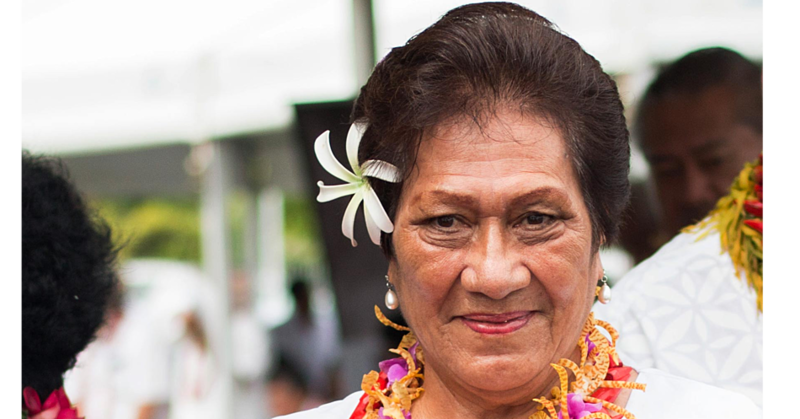 The ability to make trade more inclusive and offer opportunities to women and youth -- two segments of the population often left out -- is what makes e-commerce a game changer, says Mere Falemaka, Permanent Representative of the Pacific Islands Forum to the World Trade Organization. Through the assessment, the government has realized that e-commerce is about more than I.C.T infrastructure, transport and regulation, and that it requires investment in soft infrastructure and skills, and a thorough, encompassing national e-commerce strategy. “U.N.C.T.A.D’s e-trade readiness assessments are a first step for Pacific Island countries to develop a coherent national e-commerce policy,” Ms. Falemaka says. The government of Samoa is committed to take advantage of e-commerce, the report says. And with the right vision and concerted efforts to remove persistent bottlenecks, Samoa could become an e-commerce hub for the region. The group of experts offers a valuable platform to ensure effective follow-up, which will require development partners that are part of the group to provide timely financial and technical assistance to Samoa.